If you wish to support "The World of Islands" and to receive many gifts or cash, please , don't hesitate any more, and join our "Professionals of the islands Prospector" program. We look for people, who would like to present "The World of Islands" network to the professionals of islands in their area or somewhere else. Notice : If the tourist infrastructures of an island are less developed or non-existent, you can canvass the professionals being on the mainland, in a 5 km range around the island or around the departure place to access the island. When a professional joins "The World of Islands", on your behalf, we shall credit your account with our "Islands Points", which you can exchange for gifts of your choice. In many case, you have just to find one professional, to receive a gift. Finally, to make your presentation easier, we offer 10 % discount to the professional who registers your Affiliate code, in the "Affiliation Code" field of the registration form. You have nothing to lose, but everything to win ! What is "The World of Islands" network ? In some words, we are a tourist representation, promotion and public relations company. We represent the islands professionals on the French, European, even international market, by the individual travellers, the tourism and media professionals. "Eco" plan : for a trilingual presentation on our website. "Premium" plan : besides the presentation on the website, we offer a wide range of representation, promotion and public relations services. "Premium +" plan : all the "Premium" plan services + a trilingual website. To discover the details of our plans, please read the presentation pages for the professionals. As indicated before, for every professional registration, you earn several "Islands Points" according to the activity of the professional which you have canvass and the plan he has chosen. 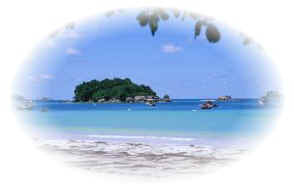 To see the detailed "Islands Points" list, please click here. You will be able to exchange these "Islands Points" at any time, for valuable gifts. In most cases, you can choose a gift immediately after your first prospecting success. To see all our gifts, please click here. You can also accumulate your points to be able to chose a most valuable gift. If you think, that you will be able to register more then 5 professionals and you had rather cash for these customers seeking, please tell us about in the registration form. We will soon contact you back. Every people, older than 18 years. To participate, please complete the registration form. After acceptance of your application, you will receive your own "Island Prospector Code", which will enable you to consult the state of your account and to give it to the professionals as your "Affiliation Code". Your "Islands Points" will be credited on your account, immediately after we have received the payment of the professional.